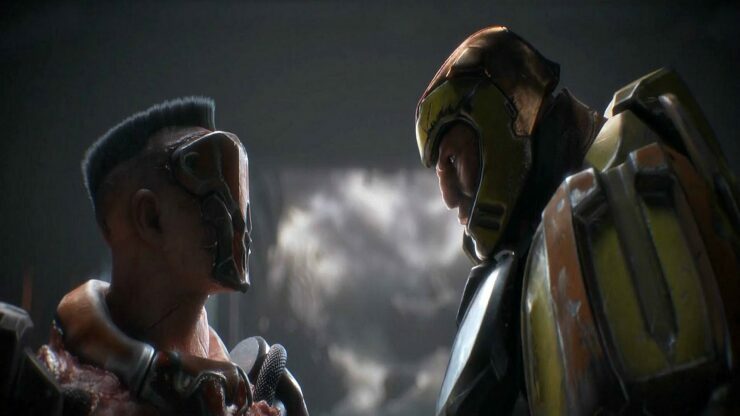 During Bethesda’s E3 2016 Showcase, id Software presented a surprise: Quake Champions. Eleven years after Quake 4, the franchise that made history as the premiere arena shooter on PC is coming back. Speaking to popular German YouTuber Rocket Beans TV, Studio Director Tim Willits revealed some additional details on the upcoming game. First of all, he wanted to make it very clear that Quake Champions is not a MOBA. There have been some questions, when people saw the Quake Champions trailer, they’re like, “Oh my god, is it a MOBA?”No. It’s not a MOBA. It’s not a MOBA. What we are making is a classic Quake game with the addition of the Champions. We feel that Champions are the natural evolution of not only Quake, but the genre. That’s why you see a lot of character driven games, because it doesn’t change the way you fundamental play the game but it enhances the experience and gives you more to do. We feel that Quake Champions will bring in new players and give the best Quake players even more to focus on. It will be for the PC, we’re not planning on making a console version. We want no excuses, no limitations. Now, I love our console fans and I’m not shutting the door on consoles, but for this game we’re going to focus on the platform that gives us the competitive e-sports angle that we’re striving for. It sounds like Quake Champions will remain a PC “exclusive” at first, but later down the line a console specific version could be released. As for Quake Champions, Willits confirmed there will be a closed beta and the game will remain in beta for as long as needed. More information is expected to be shared at Quakecon in August.